I have a confession to make. I’ve been relentlessly working on something for the past 12 months. Every bit of free time I spent with learning, sourcing and shipping. And I had a real blast doing so. Besides new skills I also earned some money. However, having a 9-5 job and doing all that hustling after-hours and on weekends took a toll on my priorities. That’s why I had to cut back on the time spent on this blog. It helped to concentrate my energy and focus on my main goal: Becoming a successful Amazon FBA seller. Ever since I started this blog I kept exploring different ideas to save money with cashback sites, travel for free and make money on the side. In 2013, I explored affiliate marketing. In the same year I also tested the waters of flipping real estate properties together with a very knowledgeable partner. More about that in another post in the near future. In 2014, I got drawn into the miles & points game (travel hacking), which eventually led me to online selling in April 2014. I finally found something that I could be very passionate about, but that’s also financially rewarding. 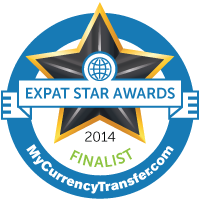 It also works extremely well with earning points for traveling, because as an online seller you have to spend money to make money. I’ve been listening to Pat Flynn’s podcast, Smart Passive Income (SPI), for the last 2 years and learned a lot about blogging, while at the same time getting exposed to different business ideas that have been discussed on his podcast. The episode that really resonated with me was SPI 99, when Pat interviewed a couple that started a successful online selling business on Amazon. I was hooked immediately, because everything sounded very doable for nearly everybody. I just HAD to give it a shot. 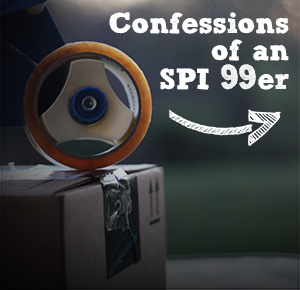 I was going to become an “SPI 99er“. 2 weeks later I was signed up for my own Amazon store and started to learn the process through various Amazon related podcasts, blogs and Facebook groups. There is a huge and growing online selling community out there! And many of them are extremely helpful and don’t mind to share their wisdom. Now, everybody knows Amazon. But what is Amazon FBA? or B) You are doing FBA (Fulfillment by Amazon). That means you will send all your products to Amazon at once and they will store it in their warehouses and handle everything from customer service, packing, shipping to returns. I never have to deal with customers and I don’t have to keep track of orders let alone ship them to customers myself. Amazon does all that for me. I just manage the price of my inventory on the Amazon website and make sure it’s moving. If I run out of stock, I send in more. Rinse and repeat. And all that from the comfort of my home. While I’m blogging in a niche, I do not sell in a certain niche on Amazon. I sell everything I can make money on to make it simple. This can be groceries, toys, health and beauty products, shoes, electronics, etc. The possibilities for products to source are endless. Amazon seems to have a category for everything. That opens up millions of opportunities for third party sellers like me. And if a product is not listed on Amazon yet, I can create one and add it to their catalog. That’s the next really cool aspect of this business model. There are so many ways to source inventory, depending on your preferences. This can be thrift stores, yard sales, liquidation sales, auctions, clearance, off-the-shelf items, online stores, wholesale, private label, etc. There are sellers who rather look for products from home online and others who like to be out in the field to see and feel the actual product before they invest. I often scoop up clearance and regular priced items in the stores or online, but I also buy inventory through wholesalers or directly from the manufacturer. There are certain apps for your smart phone that you can use, that let you scan any barcode of a product. It’ll then checks if that item is already part of the Amazon catalog. But that’s not all it does. 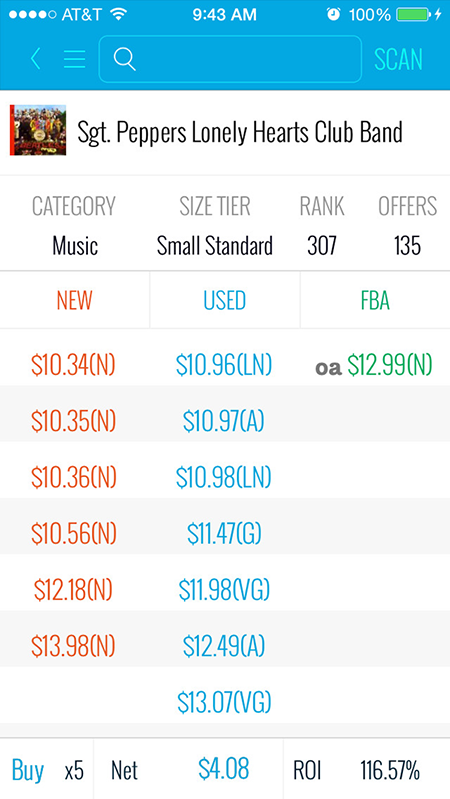 It also shows you the current price, sales rank, how many other sellers are on the same listing, what fees Amazon charges and how much profit you are going to make after you put in your cost. It couldn’t be easier and after you’ve gained a certain knowledge how sales ranks work, you can make a pretty educated call on whether you’re making money with that product or not. Obviously, Amazon doesn’t let you play in their sandbox for free. 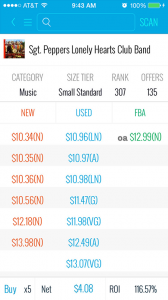 For the privilege of selling on their platform, they charge storage fees for your inventory and fees for each sale. It’s about a third of your sales, which seems like a lot. However, when you really think about it, it seems quite fair. Amazon lets you offer your products to millions of customers on their platform, who are already set up with accounts and are ready to buy. Especially if they are Prime members. Amazon spent millions of dollars and over a decade building this platform and earning the trust of its customers. And you get to use it and make money with their platform. How cool is that?! Let’s talk some numbers… The ROI (Return on Investment) I’m usually getting is 50% and up. Sometimes I have products with an ROI of 1,000% and more. And that’s usually when I got a new and factory sealed product for cheap at a at thrift stores like Goodwill. But that is the exception and thrift stores can be a little like treasure hunting sometimes. So that’s no longer part of my sourcing strategy. The beauty with FBA is, that the more work you put in, the greater the profits. You decide how high or low your ROI is and how much money you spend and charge for your inventory. And since you don’t have to fulfill all orders yourself, you can easily take breaks and your products are still getting sold. And there is potential for a lot more. There are sellers out there that are really killing it part-time. Seeing their numbers is always a good motivator for me to push even harder. Last year I only sold products worth $36,000, that means my net profit was about $11,000. But I’m just getting started. When you look at the chart above you see, that I really took it slow from April to October 2014, because I was just exploring and testing. Starting November, I refocused my energy and put most of it into FBA, resulting in an awesome December. The Christmas season is the most profitable season of the year for all retailers (online and brick-and-mortar stores) and it blew my mind to experience how much money people spend on toys and how fast my inventory was moving before Christmas. Everybody seems to be in a shopping frenzy without looking at prices anymore. I’m very happy that my wife supports all my efforts and doesn’t mind all the time that I spent working on FBA. In the past I was getting annoyed during long shopping trips with her, because I got bored really fast. Today, I just hit the clearance aisle with my scanner and walk out the store with a bunch of profitable items and a big grin on my face. There is a lot of free information out there with tons of tips and helpful people to get you started with selling on Amazon. There are also just as many paid courses and Facebook groups, that are even more helpful, because you get just what you need to know without having to comb through hundreds of sites and thousands of pages with discussions. I did both. I listened to podcasts, read through free Facebook groups and blog posts, but also spend some money and picked up several courses to speed up my learning curve. Check out my personal Amazon FBA tool box to see what courses I took and tools I use for my online selling business. Selling on Amazon.com is not the only marketplace to sell your products. After listening to another seller who ships his product all over the world, I signed up for his coaching class and set up a second store in Europe, that gave me access to Amazon UK, Germany, France, Spain and Italy. I started selling to those countries in January of 2015. And the same opportunity exists for people outside the U.S. They can sell on Amazon USA and Europe from their countries, too. 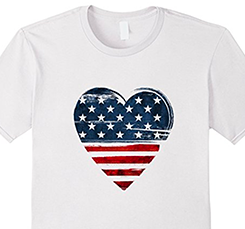 You don’t have to live in the U.S. in order to sell on Amazon.com. More about this in one of my next posts. This won’t be the last time I’m writing about Amazon FBA, because it became a big part of my spare time and it’s the first “home business” that actually works for me and pays well. Pretty soon I will interview a big player in the online community, who lives on an island and is selling lots of products all over the world – from home. Please leave any questions in the comment box. great article and thanks for sharing your informations. It sounds really good and cool. i have my own two onlineshops here in germany and so i know how much time it costs to get all the knowledge you need. I hope that you can stay focused on ur next goals that is always a bit difficult. Thanks Tobias. Are you selling through Amazon, too, or do you have your own sites up?